Some cities have perfect summer weather. Vancouver in Canada is one of them. The temps rarely rise above the seventies and the days are sunny with low humidity and bright blue skies. People and plants love it. It seems every yard, business, sidewalk and street median is lined with flowers. 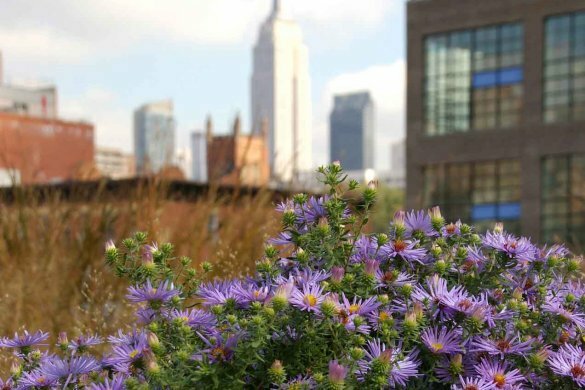 Even the balconies, light poles and rooftops overflow with hanging containers filled with lush plantings. 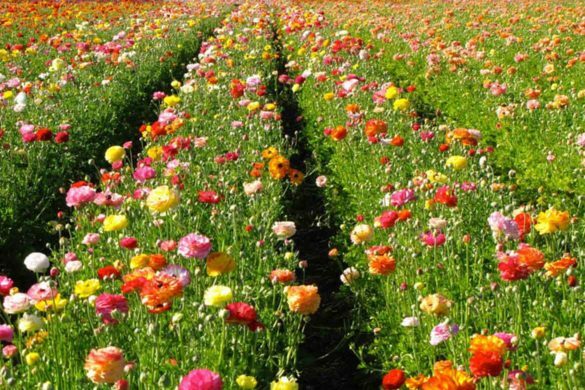 Is everyone a gardener here? 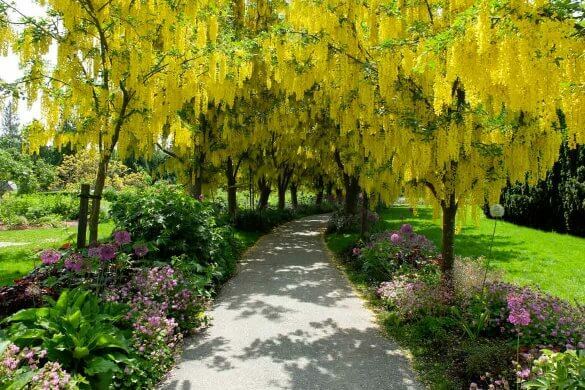 And in the rainy season, Vancouver’s gardens are havens for walks and respite. 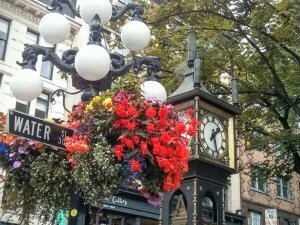 The city has many public gardens to explore; the VanDusen Botanical Garden, the Queen Elizabeth Park quarry gardens, the gardens on the campus of the University of British Columbia, plus the Stanley Park gardens and the Dr. Sun Yat-Sen Classical Chinese Garden. 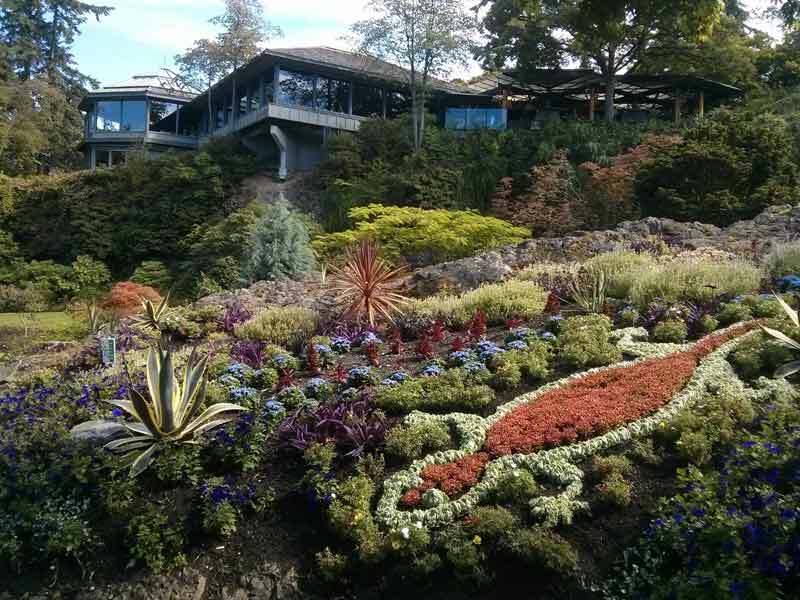 Most public universities that teach horticulture tend to have a botanical garden, but at the University of British Columbia (UBC) there are three noteworthy gardens to visit. The iconic and probably most photographed spot on campus is the Rose Garden. 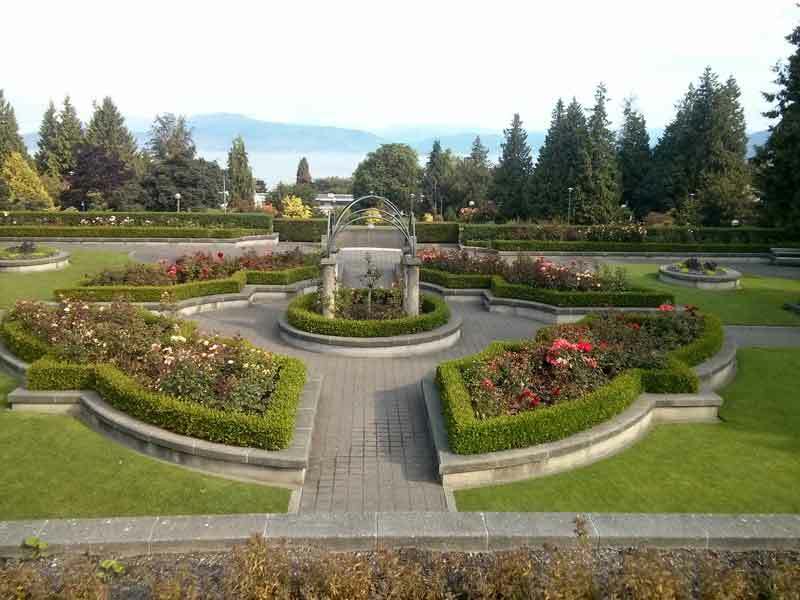 Sited on top of the parking garage, the rooftop Rose Garden is the perfect spot to sit and enjoy the view of English Bay and the north shore mountains, while also enjoying the several dozen species of roses. The Nitobe Memorial Garden near the southern edge of campus is considered one of best traditional Japanese gardens outside of Japan. Behind a wall of stucco and stone, the garden is a tranquil oasis away from the bustle of the campus. Moss covered lawn, azaleas, rhododendrons, ferns, and Japanese maples are meticulously placed to create the framework of this Zen garden, which is also adorned with traditional Japanese elements of lanterns, bridges, and bamboo fences. A small stream winds throughout. The back of the garden has a teahouse used by the Urasenke School of Tea. There is no plant signage, but that’s not the purpose of this garden. It’s a place to quiet your spirit and nourish your soul. Don’t rush through or you’ll miss the purpose of this place. 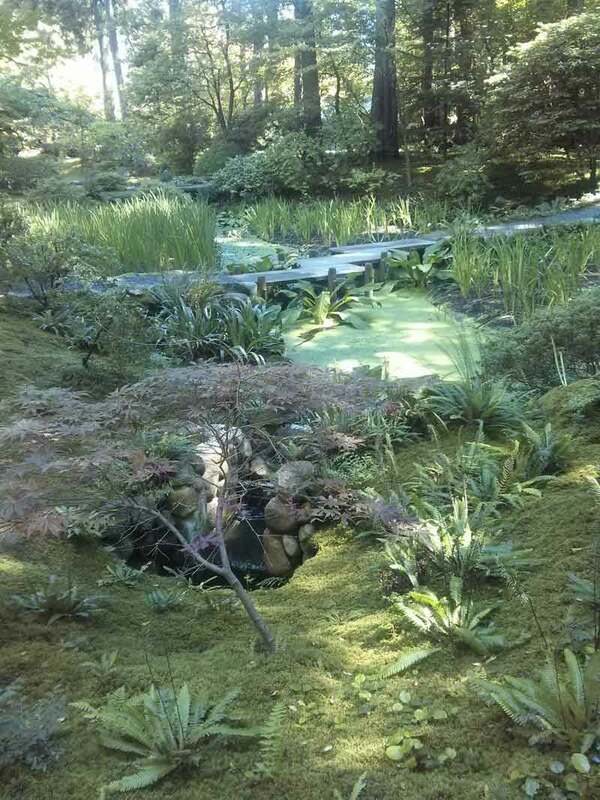 On the opposite end of campus is the UBC Botanical Garden, which is divided into two sections. A tunnel under a campus road connects the two. 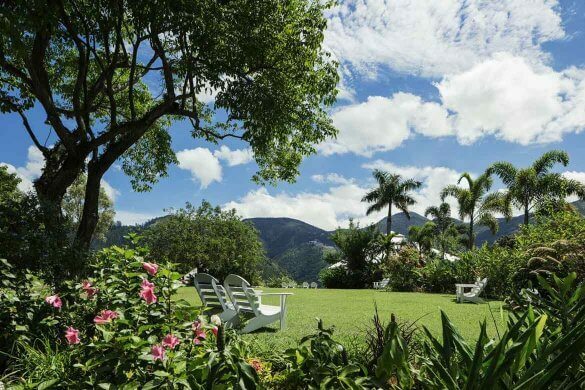 This is a massive garden so plan to spend considerable time here. 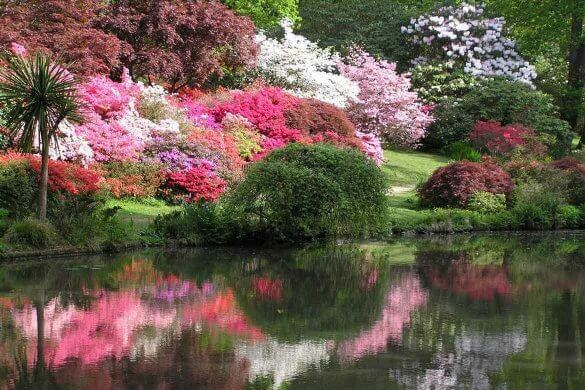 Within steps of the entrance is the Asian garden with a collection of rhododendrons. It’s more forest than garden, but a serene starting point of your tour. At the far end of the Asian garden is the Greenheart TreeWalk (separate fee) where you can climb into the forest canopy and walk along a series of elevated platforms for amazing views. Highlights of the North Gardens include the Physic Garden enclosed by a circular yew hedge and filled with medicinal plants and signage on the ailments treated. The Food Garden is a living demonstration site with varieties and techniques for home gardens. The Alpine Garden is a mix of sun and shady varieties from around the world. 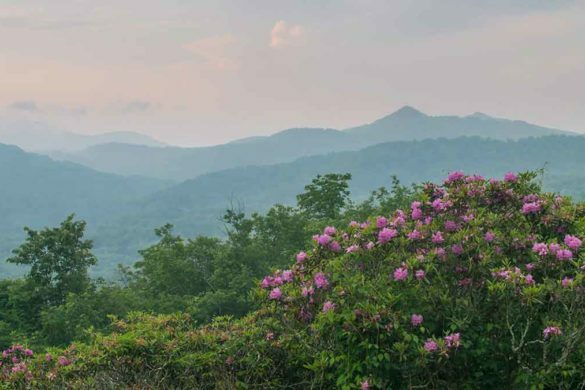 There is even a Carolinian Forest showcasing the trees and shrubs native to eastern North America. While on campus, you’ll want to spend time at the Beatty Biodiversity Museum. 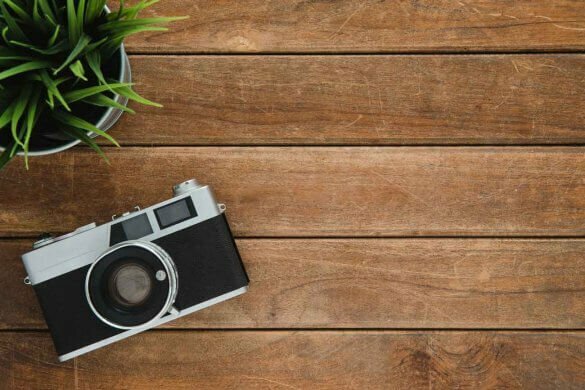 Among its collections is a herbarium, the largest in Western Canada, with over 650,000 specimens of everything from ferns and conifers to fungi and lichens. On the edge of campus separating the university from the city is the Pacific Spirit Park. 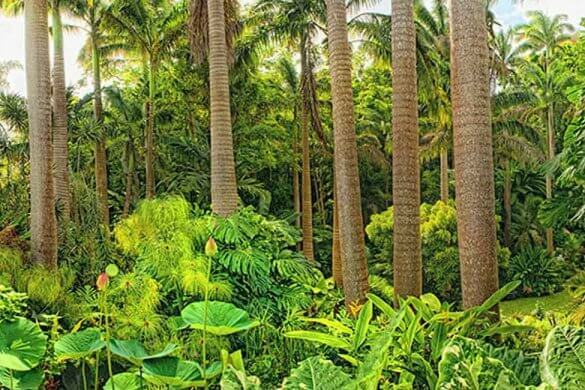 Take time for a stroll through this lush rain forest. 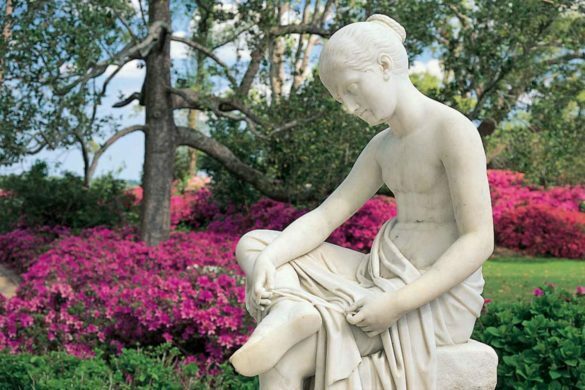 The city’s Queen Elizabeth Park has two quarry gardens made from the remnants of an old rock quarry. The park is the highest point in Vancouver with great views of the downtown. 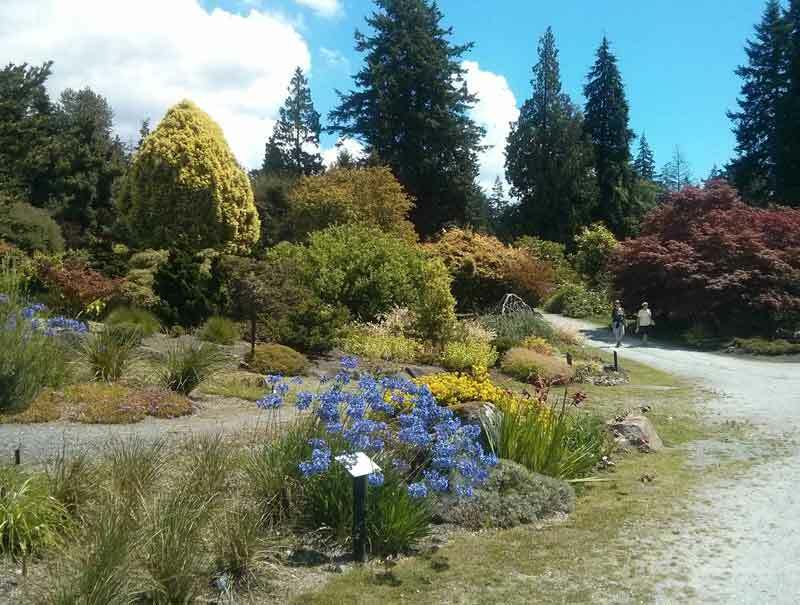 The main quarry garden is a stunning display of annuals, perennials, shrubs, conifers and trees, giving you a similar experience to the Butchart Gardens on Vancouver Island. You need to descend stairs into the garden, but once there the paths are level and paved. The north quarry garden has mostly xeric plants and a more Asian design. 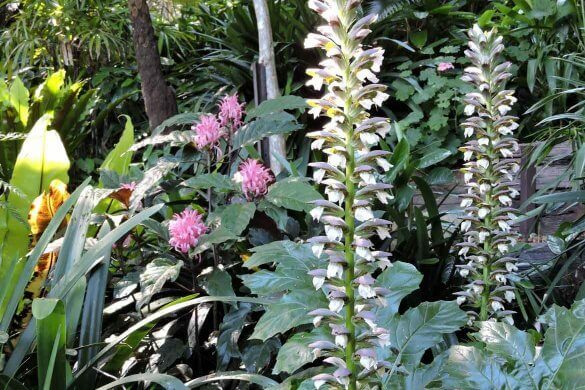 The park also has the Bloedel Conservatory with tropical and desert plants, plus a rose garden, Henry Moore sculptures and even lawn bowling. You could spend a day at the city’s horticultural gem – the VanDusen Botanical Garden. If you only have an hour or two, the garden has a highlights map. A grand lake greets you at the plaza entrance, with level paths radiating out in both directions. Take the left path for a walk through the Grotto with its stone boulder walls and natural branches on the top. 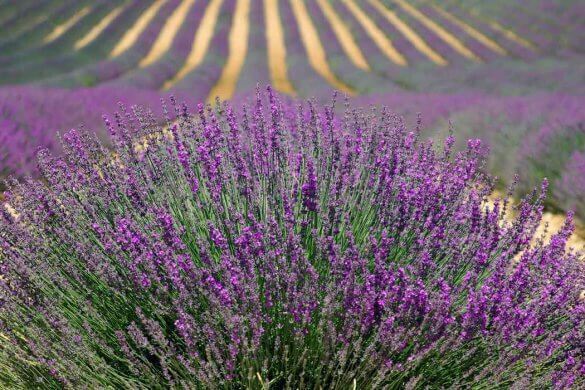 Upon exiting the tunnel you’ll be rewarded with masses of heather in a Scottish garden. 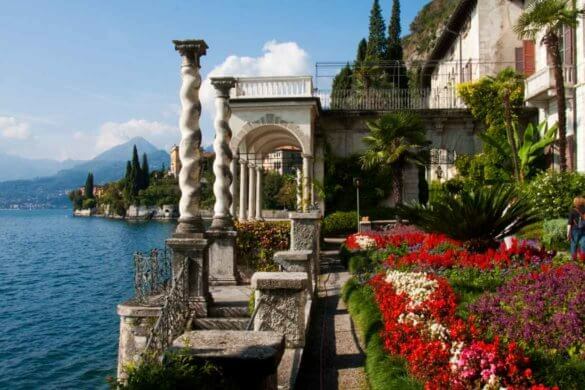 A side path takes you to a gazebo overlooking the lake. A conifer grove towers above the area near the Sino-Himalyan garden. 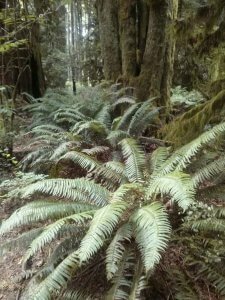 The Fern Dell has dozens of specimens, including an unusual Tasmanian tree fern. Near the Korean Pavilion are plants native to the Asian country. All ages enjoy the Elizabethan Maze at the far end of the garden. 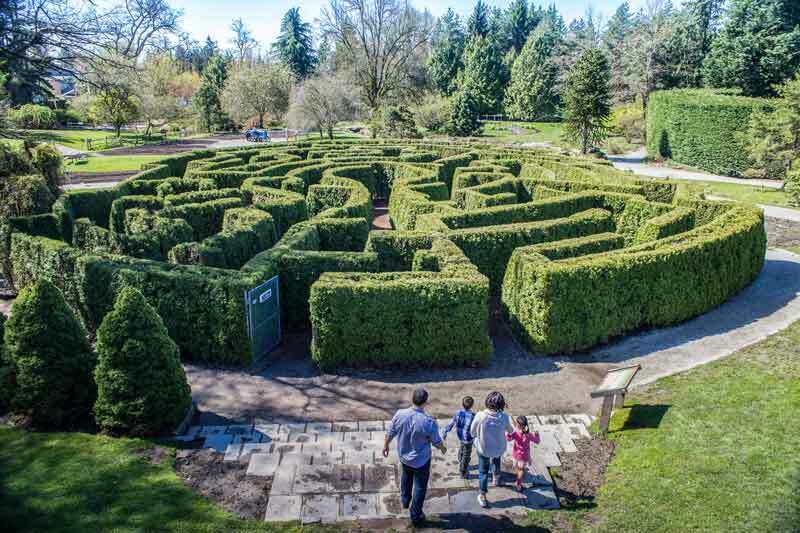 Designed in a circular layout with 3,000 pyramidal cedars, the multiple path options through the maze entertain those who dare to enter. There is an observation terrace near the Monkey Puzzle tree if you prefer to watch rather than experience the maze. 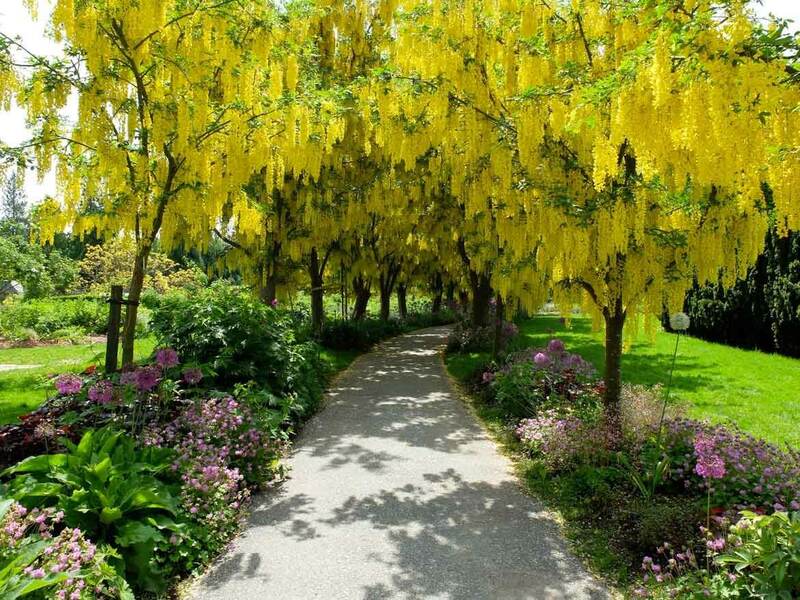 Other don’t miss gardens include the formal rose garden, the Laburnum Walk in spring and its spectacular display of yellow blooms, the Canadian Heritage garden, plus a collection of gardens from the Southern Hemisphere. The garden also has two dining spots, plus a great gift shop. 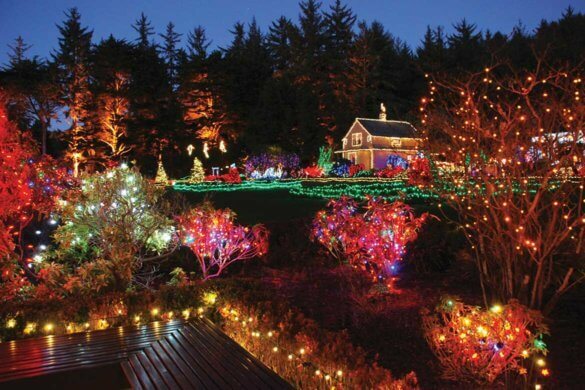 The Festival of Lights in December turns the garden into a magical holiday wonderland. You don’t need a car in Vancouver. The city has an extensive public transportation system of buses, shuttles, ferries, and the SkyTrain. Download the TransLink app or use Google maps to help you navigate around the city on public transportation. Note: ride sharing services like Uber do not operate in Vancouver. You can’t get a bad meal in Vancouver. There are ethnic food restaurants from just about everywhere on the globe, and even the small take-out places offer delicious meal options. The U.S. dollar is strong against the Canadian dollar, giving you about 25 percent more buying power. Remember, you need a passport to enter Canada. 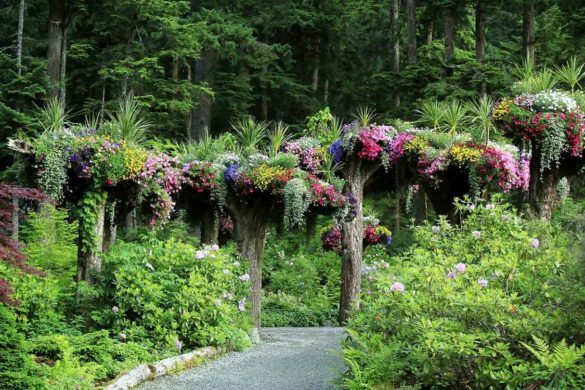 Vancouver Island is a garden destination of its own. 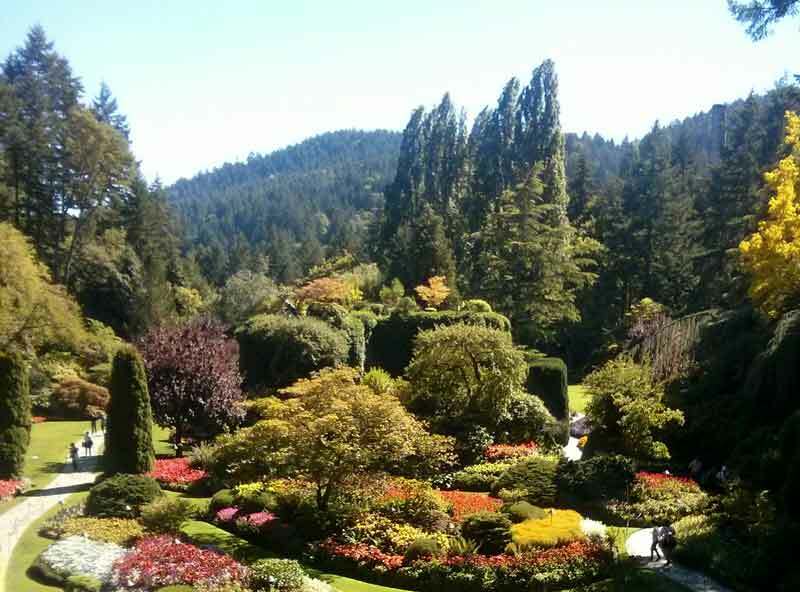 Top on the list is the Butchart Gardens, also created from a rock quarry. Butchart is over-the-top beautiful. 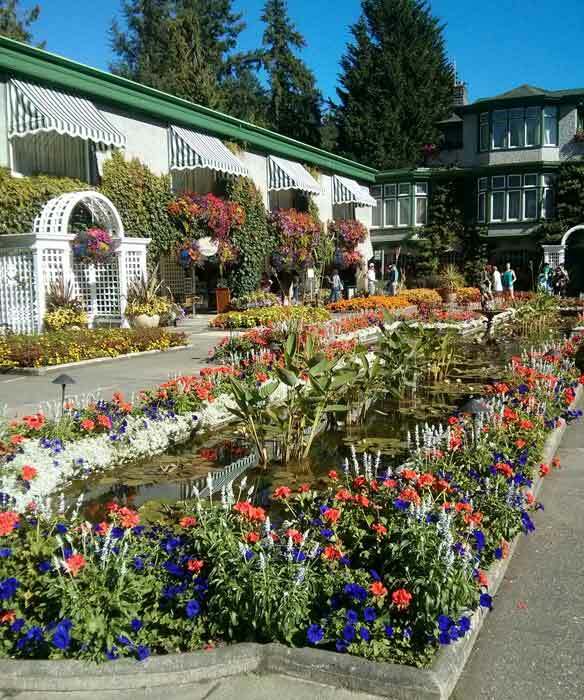 Your first stop is the main reason people visit Butchart – the Sunken Garden. 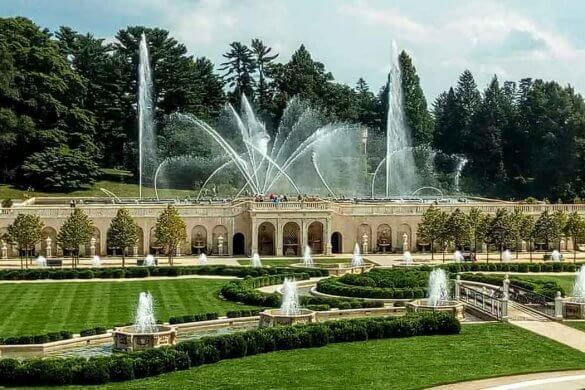 You’ll need to descend the stairs from the observation area, but will be rewarded with an explosion of color from annuals and flowering trees. 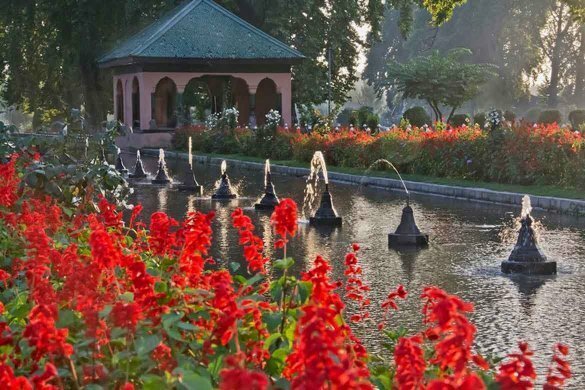 From here you just follow the paths to the other gardens, all equally as impressive: The Rose garden, a Japanese garden, and the Italian garden in the courtyard of the former Butchart family home will reward your visual senses. 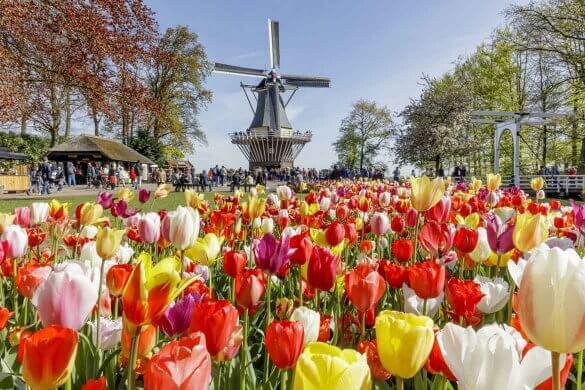 Spend time at Waterwheel Square for the dining, many gift shops and visitors center where flowers snipped that day are displayed to show what’s in bloom. Butchart Gardens is an international attraction with visitors from around the world all speaking the language of flowers. If you only have a day, you can travel to Butchart from Vancouver by ferry. It will be a very long day, taking an early morning ferry at the Tsawwassen terminal. The 90-minute ferry ride is a pleasant trip as it zig zags through the Gulf Islands in the Strait of Georgia. Or splurge and take a seaplane to the island. Learn more about Vancouver at www.TourismVancouver.com. Beverly Hurley is the editor of Triangle Gardener magazine and www.GardenDestinations.com. When she is not gardening, she loves to travel.